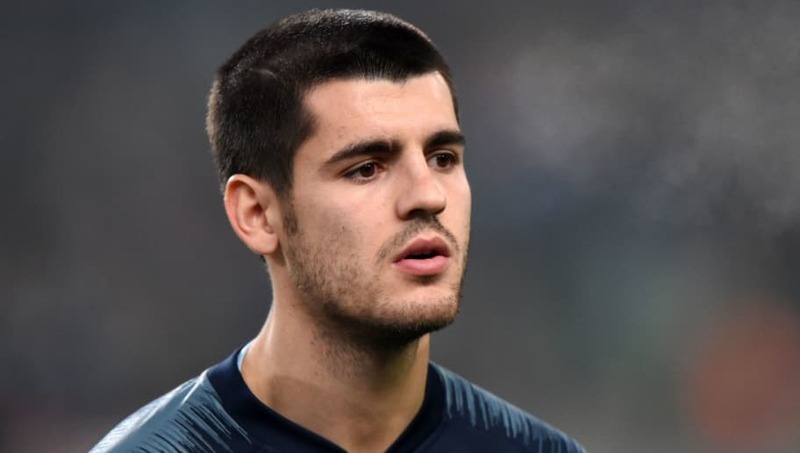 Chelsea striker Alvaro Morata is set to end his nightmare spell with the club by joining Atletico Madrid, after agreeing personal terms with the Spanish outfit. The forward has been frozen out of the starting lineup in the last month, and was absent from last weekend's matchday squad to face Newcastle altogether. He had been strongly linked with clubs across Spain, including Barcelona and Sevilla, as well as Inter and Monaco. However, now it looks like ​Atleti have won the race with his signature, after the two parties agreed personal terms ​ahead of the proposed move, according to ​BBC Sport. The only things left to be sorted are the signing of a replacement at ​Chelsea, and the selling of a forward at Atletico. The former seems to be almost done, with the ​Blues close to securing a loan move for Juventus' ​Gonzalo Higuain, which is expected to become permanent at the end of the season. Meanwhile, the most likely candidates to leave Diego Simeone's side have always been Gelson Martins and Nikola Kalinic, and according to Guillem Balague, the club are shopping the Croatian around as we speak.  CW gbeng: "If I weren't a footballer I'd probably be a P.E. teacher." Speaking on the BBC 5 live Football Daily Podcast, Ballague said: "It seems to be a matter of finding a buyer for Kalinic. "Everything else seems to be in place for ​Morata to abandon what feels like a nightmare." The Spaniard signed a five-year deal in west London when he joined for £60m in July 2017, but could only manage 24 goals in his 72 games for the club over an 18-month period.